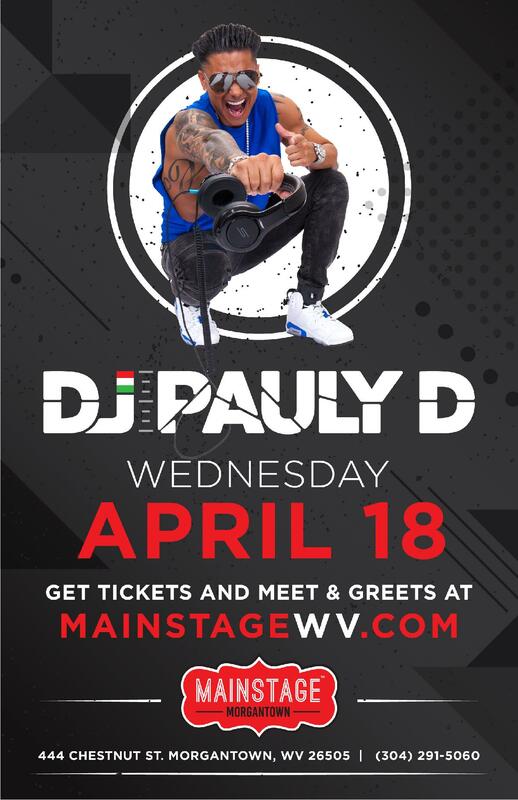 Pauly D: Born in Providence, R.I., Paul “DJ Pauly D” DelVecchio is recognized for his musical talent as well as his reality star status on MTV’s highest rated show, ”Jersey Shore,” which premiered in December 2009. Quickly a fan favorite, MTV announced Pauly as the first cast member to receive his own spinoff, “The Pauly D Project,” chronicling his life as a celebrity DJ, which premiered on the network on March 29, 2012. ”The Pauly D Project” theme song “Night Of My Life,” produced by Pauly, soared to number three on the iTunes Dance Chart in less than 24 hours. Joining the SK Energy mission in July 2012 was an important move for Pauly. By joining forces with SK Energy Shots Pauly is helping founder 50 Cent fight world famine. With each shot sold a meal is provided for a hungry child through the UN World Food Programme. In May 2012, Pauly announced he will debut a new line of ready to drink cocktails, REMIX Pre-Game Cocktails. Pauly has partnered with liquor industry veterans, Tom Bruno, formally of Sidney Frank Importing Company Inc., and David Kanbar, Co-Founder of Skinnygirl Cocktails. February 2012 brought the announcement of Pauly’s new Las Vegas DJ residency at The Hard Rock Hotel & Casino and an Atlantic City DJ residency at The Pool After Dark at Harrah’s Resort. In December 2011, rapper and mogul 50 Cent signed Pauly to his record label, G-Note records, to release new material showcasing Pauly’s true craft. It was also announced in January 2012, Pauly will be working together with 50 Cent and SMS Audio to develop a full line of headphones. On August 7, 2011 Pauly won “Choice TV: Male Reality/Variety Star” at the Teen Choice Awards. He is honored to be nominated again in 2012 for the third year in a row. Pauly received more recognition being voted the #8 Best DJ in America in 2010 and was nominated again in 2011. Pauly was also named one of VIBE Magazine’s “Top 6 DJs Who Rocked 2011,” but his notoriety did not come overnight. At the age of 16, long before his “Jersey Shore” fame, Pauly started as a DJ and that is where his passion remains. In September 2011, Pauly DJ’ed for the iHeartRadio Music Festival alongside some of the biggest names in the music industry. Acts included: Lady Gaga, Jennifer Lopez, The Black Eyed Peas, and Alicia Keys, to name a few. In Summer 2011, Pauly joined the iconic Britney Spears on select dates of her Femme Fatale Tour, alongside Britney and Nicki Minaj. Pauly has spent years honing his skills to fine art. His eclectic track selection, unique style and infectious personality captivate crowds around the globe. Pauly is now one of the most sought after DJs in the world. His music library spans nearly every genre of club music and he has the exceptional ability to mix in and out of top 40 and house music, introducing an entirely new demographic to quality dance music. Also in 2011, The Palms Casino Resort announced that Pauly will be an exclusive resident DJ for Moon, Rain, and the Palms Pool solidifying his spot amongst the elite group of artists that have had residencies with the Palms. Pauly has spent the past year working on a Miracle Whip commercial, his own mobile application with MEDL Mobile, an exclusive line of Tanning Lotions and Sunless Products with Devoted Creations and a partnership in the Dirty Couture clothing line. Pauly supports many charitable causes, working closely with The Rhode Island Chapter of St. Jude Children’s Research Hospital, and has worked with many great organizations such as The Boomer Esiason Foundation, Make-A-Wish Foundation, GLAAD, GLSEN, and DoSomething.org. This powerhouse DJ has been honored as one of US Weekly‘s hottest bodies and came in close second to Vin Diesel in People Magazine’s ”Sexiest Man Alive On Facebook” contest. Cosmopolitan Magazine chose him to launch their first iPad application. In 2010, he released his first single with Universal Republic Records entitled, “Beat Dat Beat,” which quickly climbed the charts, further establishing his place in pop culture.